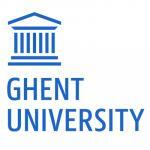 Ghent University offers Master scholarships in Aquaculture funded by VLIR-UOS. Aquaculture is defined as the production of aquatic plants and animals for human consumption. Under the pressure of the increasing world population on the one side and the stagnating or even declining fishery landings on the other side, aquaculture is considered as the only option to respond to the growing demand for healthy and sustainable seafood. Commercial aquaculture is a relatively young, diverse and dynamic bio-industry with growth figures exceeding any other traditional primary production sector. Applicants must be able to demonstrate through their transcripts basic science training in at least 5 out of 7 of the following fields: Mathematics, including basic statistics; Physics; Chemistry; Biochemistry; Biology; Microbiology; and Engineering. Some background in aquaculture is recommended too. applicants who are nationals from or have obtained a bachelor and/or master degree in a higher education institute with English as mode of instruction in USA, Australia, New Zealand, United Kingdom, Republic of Ireland or Canada, and in the latter case a certificate that the mode of instruction was English has to be submitted. See more scholarships on For9a's website.